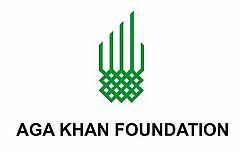 The Aga Khan Foundation (AKF) is a private, non-denominational, international development agency Promoting. creative- and effective solutions to selected problems that impede- social and economic development in parts of Africa and Asia. AKF-Tanzania is part of the AKF-EastAfrica regional structure that supports programmes in Kenya, Tanzania and Uganda, ln Tanzania, AKF is managing a robust and expanding portfolio of multi-sectorial initiatives that includes programmes in inclusive economic development health, nutrition, early childhood development, education and civil society strengthening. AKF operations are currently being carried out in Dar-es-salaam, Mtwara, Lindi, Arusha, Mwanza, Morogoro and Zanzibar. AKF is looking for a- competent and committed Senior Monitoring and Evaluation Officer with strong multi-disciplinary M&E skills to manage the monitoring and evaluation activities of the post-harvest rice project (Enhancing the Competitiveness of Smallholder farmers) and contribute specialist skills to the broader monitoring and evaluation functions. Aga Khan Foundation Tanzania is working towards strengthening capacities of smallholder rice farmers and famer groups to 'enhance productivity and reduce postharvest losses in Morogoro region. AKF will implement the rice value chain project to enhance productivity, reduce post-harvest losses, facilitate value chain actors to enhance business services, improve infrastructure and management of post-harvest storage facilities, collective marketing, value addition and market linkages. 'The overall objective is to increase competitiveness and improve post-harvest value chain efficiencies among smallholder farmers in the rice sector. • Develop monitoring and evaluation systems and tools for monitoring project activities (process), outputs and outcomes based on agreed indicators. • Develop and manage project's M&E plans in coordination with project staff, both in the project office and based in the field. • Undertake all M&E related field activities including baseline and end line surveys, performance monitoring and data quality supportive supervision. • Build capacity of project teams on M&E-related issues and provide guidance and technical support in all matters pertaining to data collection, quality assurance, analysis and presentation. • Compile and maintain a project database to inform progress toward outcomes for internal and donor reports. Review all project reports to ensure that information on indicators is accurate, relevant and well presented. • Facilitate and coordinate project progress presentations to ensure' availability and better utilization of data for decision-making during management and project review meetings. • Synthesise lessons learnt and best practices and share the lessons learnt to enable strategy review. • Actively participate in a broad range of M&E functions as part of the project's MERL team and as may be directed from time to time by the Project Manager. Interested candidates should submit a cover letter, CV (not exceeding four pages) and the names and contact information of three referees before close of business by 31st October 2017, to Country Human Resources Manager, Aga Khan Foundation, Tanzania, bye-mail to recruit.akftz@akfea.org . Please mention the title of the position in your email and do not attach any document other than the CV and cover letter. The Aga Khan Foundation is an Agency of the Aga Khan Development Network.